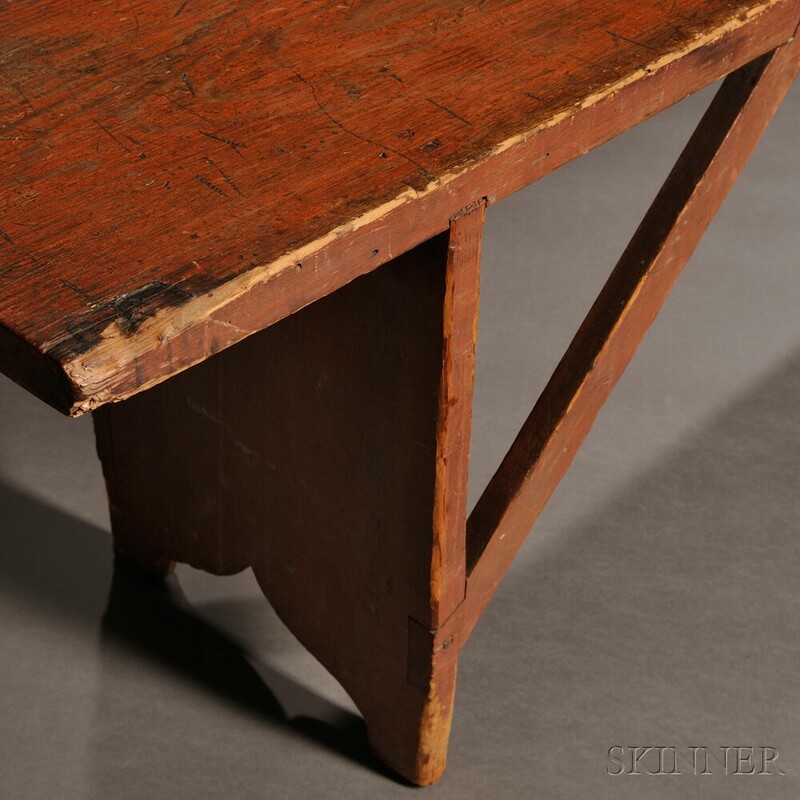 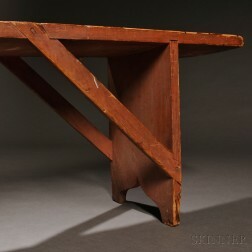 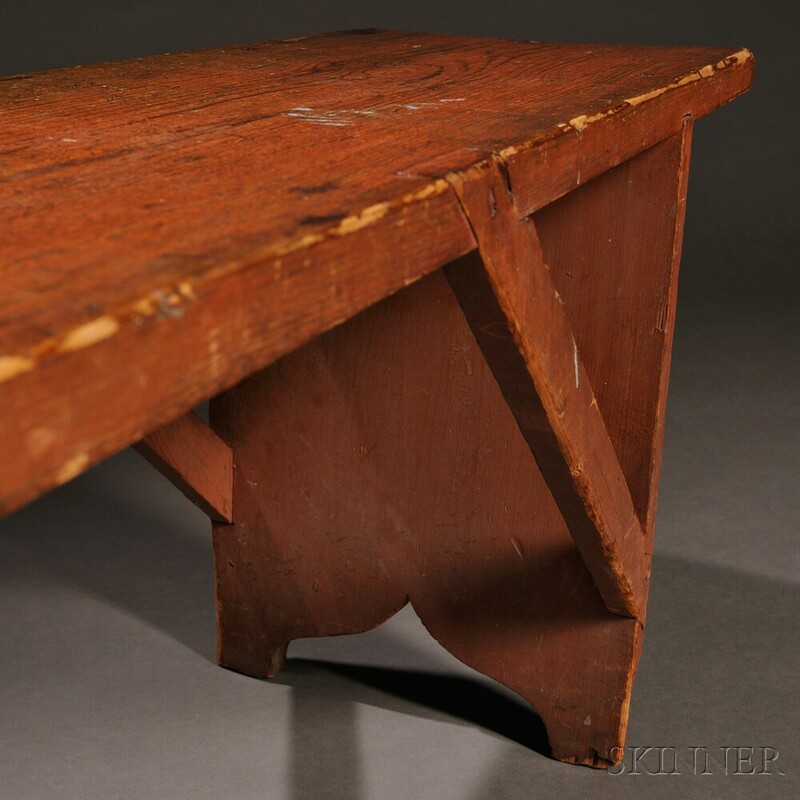 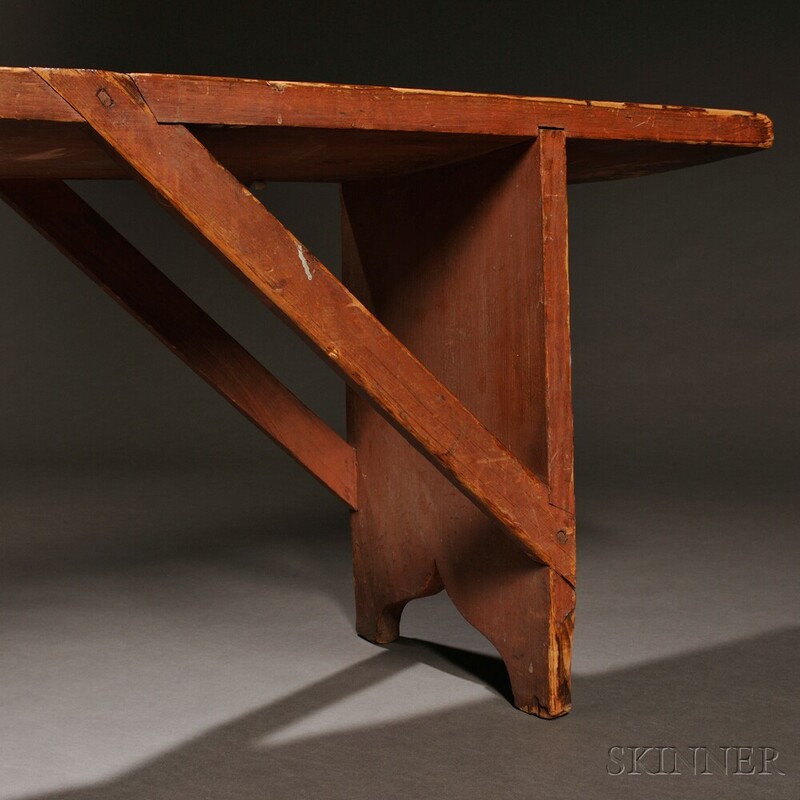 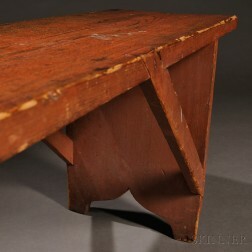 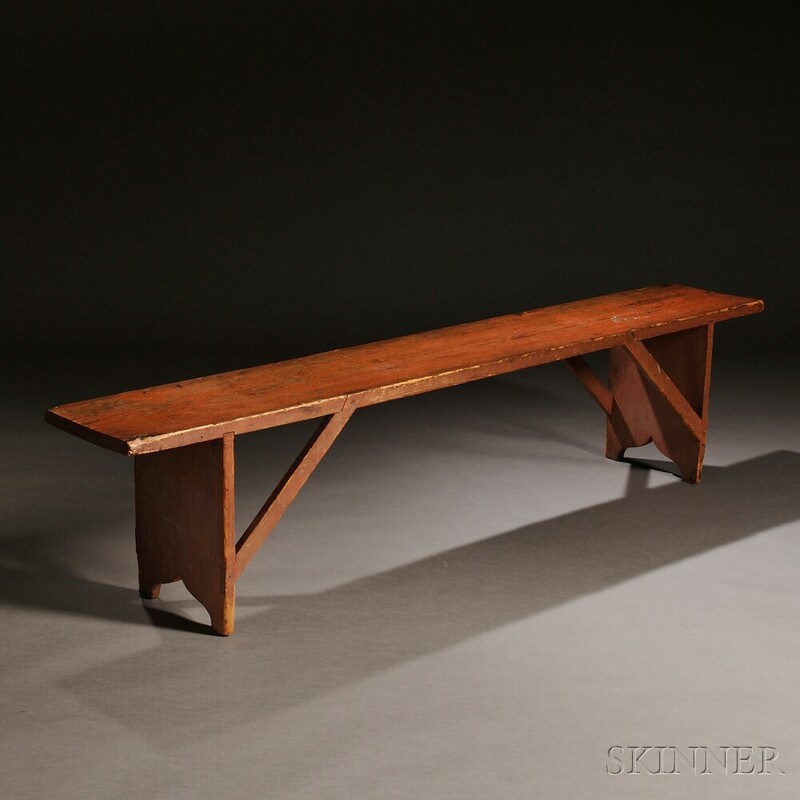 Shaker Salmon Red-painted Pine Bench, New Lebanon, New York, c. 1840, the rectangular seat joined to the vertical cutout supports by four diagonal braces, original paint, (minor paint wear), ht. 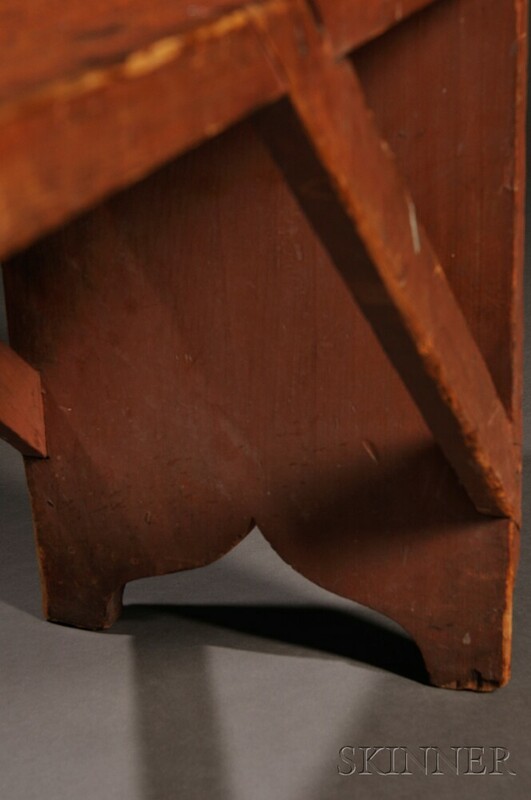 17, lg. 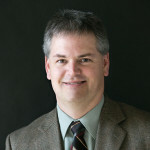 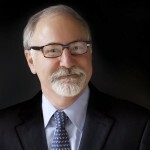 73 1/2, dp. 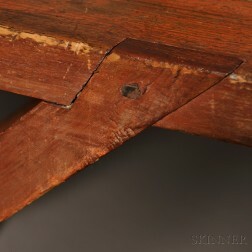 11 1/2 in. Literature: Shaker Furniture: The Craftsmanship of an American Communal Sect, plate 5; The Magazine Antiques, May 1979; Gather Up the Fragments, p. 142. 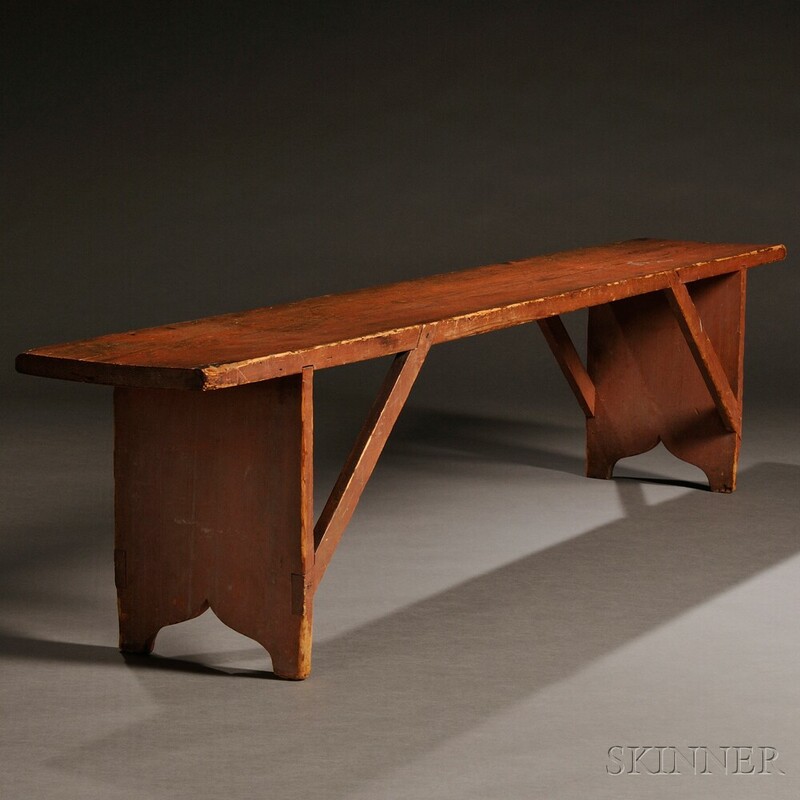 This pine bench exhibits the pointed arch cutouts found on early meetinghouse and dining benches from Mount Lebanon. This example is finished in orange paint. 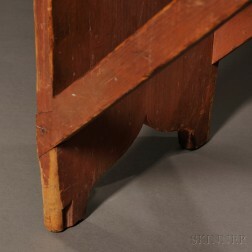 Another bench, as well as a bookshelf, included in this auction (Lots 18 and 44) have similarly shaped cutouts at the bottom, suggesting perhaps they were constructed by the same cabinetmaker.